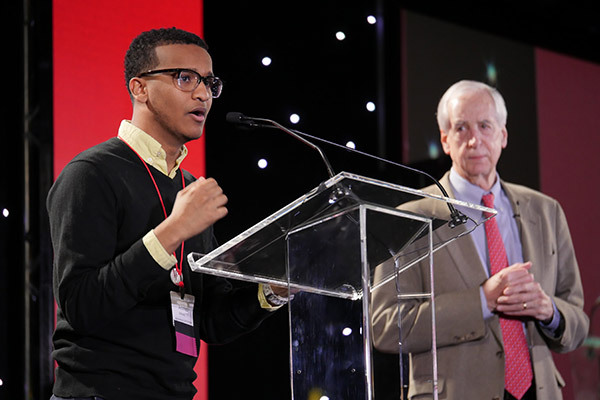 After being snowed out in Philadelphia in 2016, the Cornell Alumni Leadership Conference (CALC) roared back into action from February 3 to 4 in downtown Baltimore, with a turnout of nearly 700 alumni, students, staff members, and university leaders. 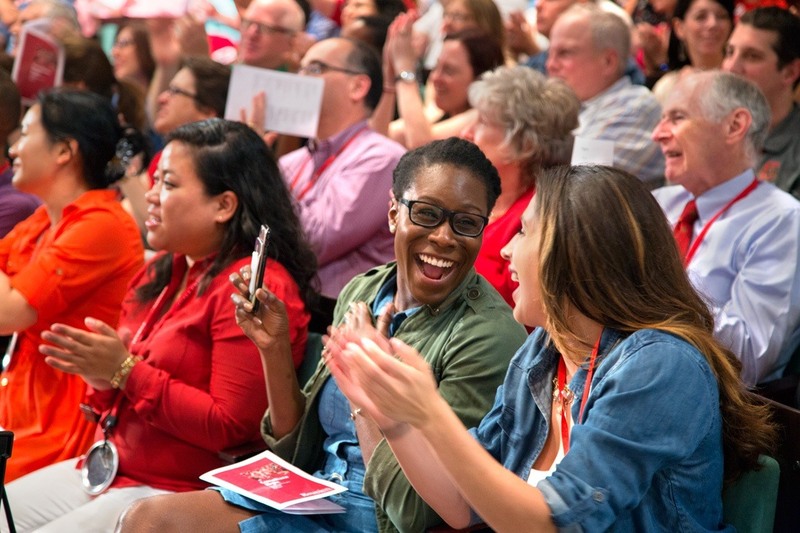 The annual two-day conference brought together alumni volunteer leaders from hundreds of Cornell alumni organizations for plenary sessions, breakout groups, coaching sessions, and hands-on training programs. It also included some fun, with smart phone trivia contests and a selfie station to capture images with friends and co-volunteers. There were even some surprises. Interim President Hunter R. Rawlings III revealed how he was almost recruited to the Baltimore Orioles out of high school and when, in the same speech, he praised Rhodes Scholar Ahmed Ahmed ’17, it turned out that this accomplished young alumnus was in the audience. Ahmed came to the podium and offered inspiring, impromptu remarks. Alumni gave CALC 2017 high marks. “CALC was a fantastic experience for me,” said E. Eric Elmore, AB ’86, JD ’89, chair of the Cornell Law Alumni Association and a Cornell University Council member. In addition to volunteer training and networking, CALC helps alumni get an inside look at life on campus and new insights into leadership developments. To this end, Jen Baker MBA ’12, MEN ’13, senior manager for Under Armour and co-founder of Athletics Leadership Consulting, gave a talk; a student panel discussed Cornell’s student-led diversity and inclusion efforts; and representatives from Student and Campus Life and the Office of the Provost gave advice on mentoring today’s students. Laura Denbow, senior director of Volunteer Programs, said that CAAB shared their recent review of AAD’s volunteer orientation and training program. For the past year and a half, the board has been working to verify what works well and to identify areas for improvement. Board member Shakin participated in that effort and said that Baker’s presentation challenged volunteers to consider how they are both coaches and apprentices in their Cornell roles. 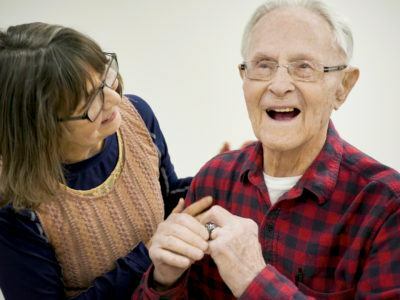 During a follow-up break out session, Shakin asked new and seasoned volunteers to share a positive experience in which they were coached, but many reported disappointing experiences. 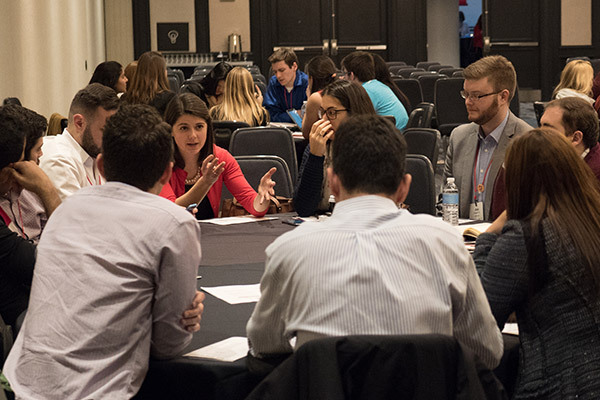 The board is seeking nominations for new members and will focus in the year ahead on engaging more young alumni. 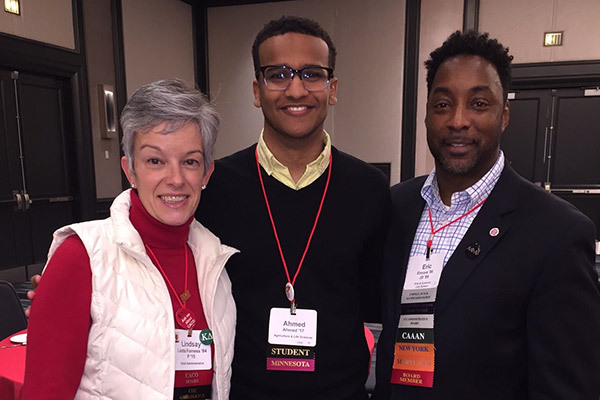 Alumni together at CALC 2017: (l-r) Lindsay Liotta Forness ’84, Ahmed Ahmed ’17 and E. Eric Elmore ’86, JD ’89. Volunteer Leadership Summit: University-wide, alumni volunteer community leaders shared ways to excel in their roles. They met for the first time in October during the Trustee-Council Annual Meeting, and at CALC focused on leadership transitions. 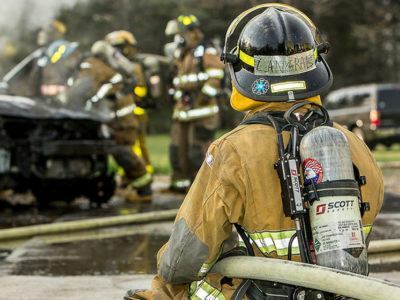 Volunteer Core Competencies: CAAB put its best, legendary volunteers under the microscope to find out how they succeed so their skills, behaviors, and abilities can inspire and inform others. Volunteer attributes were spotlighted on Saturday morning, with a Saturday afternoon focus on coaching. Mentoring: Alumni are eager to mentor students and the possibilities and impact are limitless. 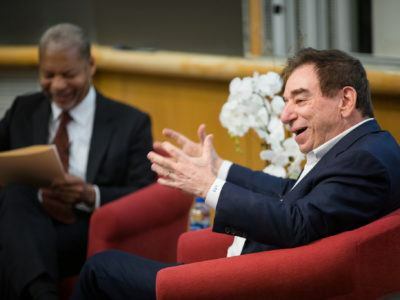 Leaders announced that a university-wide online platform to help students and alumni make connections is on the horizon, and offered solid advice on what it means, and doesn’t mean, to be a mentor. A much-anticipated highlight of CALC is the presentation of the annual William “Bill” Vanneman ’31 Outstanding Class Leader Award. It honors loyal and dedicated class leaders who dedicate significant time to planning reunions, running class activities, raising funds, and much more. The 2017 award recipients are Marshall and Rosanna Frank ’61. 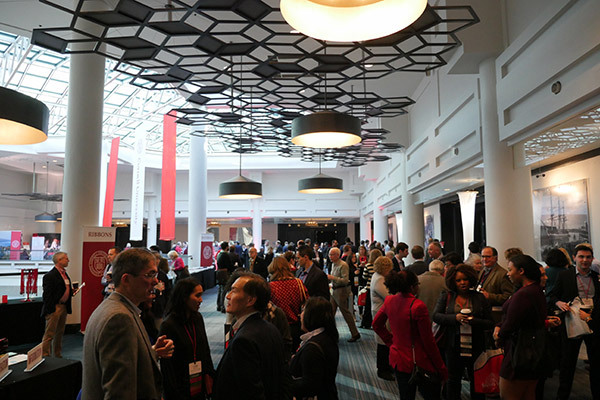 “When you realize that nearly 700 alumni traveled to Baltimore from all parts of the globe to support Cornell, in the middle of winter no less, you know you were a part of something very special, unique, powerful, and downright fun,” Denbow reflected. CALC returns to Philadelphia from February 2 to 3 in 2018.